A well written construction contract. 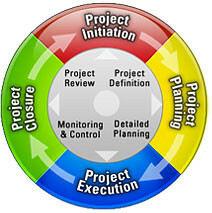 The construction project manager facilitates the progression of these elements to reach the goal of the finished project. The success of construction project management begins and ends with rock-solid knowledge and understanding of the plans, specifications and contract for construction. Although it’s the design professional’s obligation to create a set of drawings and specifications that reflect the owner’s expectations and portray them clearly to bidders and the selected contractor, it’s the job of the project manager to know these backwards and forwards. Full knowledge of plans and specifications is crucial to avoiding construction conflicts and potential change orders. Ultimately, the contractor’s best interests lie with the contractor. Prince Engineering, PLC recommends, and an owner is best served by, a construction project manager that is employed as owner’s representative to assure the owner’s best interests are cared for. The contract for construction, obviously, plays a pivotal role in the style of construction management required for a project. Prince Engineering prefers contract forms prepared by the American Institute of Architects (AIA) or the Engineer’s Joint Construction Documents Committee (EJCDC), modified and supplemented for an owner’s particular needs. These standardized contract formats have gone through years of testing and revision so that owners, design professionals and contractors understand their respective benefits, liabilities, and procedures for making a successful construction project. Most importantly, a good contract also describes the procedures required by both parties if something should go wrong. While most construction contracts, including the standard AIA and EJCDC forms, provide for mediation/arbitration prior to legal proceedings, even these do not describe the resolution processes of common construction glitches. Construction contracts do not generally provide written procedures for construction conflicts even though they may be relatively common. An example is the weather delay. Most contracts point to delays caused by “acts of God” and other significant events that can delay a project, but almost no contract describes the process to resolving what happens when the construction site becomes a muddy mess from a few days of rain. Should this be a cause for an extension of the contract time? Is this normal for this location and season? For weather delay, smart project managers and owners have written into the contract a procedure, tied to historical local weather data, for determining the appropriate resolution. Prince Engineering has researched and written many supplemental contract terms for this and other common construction setbacks not normally found in standardized construction contracts. Dispute resolution, in my opinion, is the most important part of a construction contract. Although a project manager’s primary task is to foresee and ward off potential disputes, construction conflicts always have and always will arise. With a good set of plans, a well written contract and a good, familiar contractor, there should be no significant disputes to undertake. A good project manager or owner’s representative is in constant communication with the project design professionals, contractor’s representatives and the owner for each contract on the construction project. Just as important is the documentation of each communication. 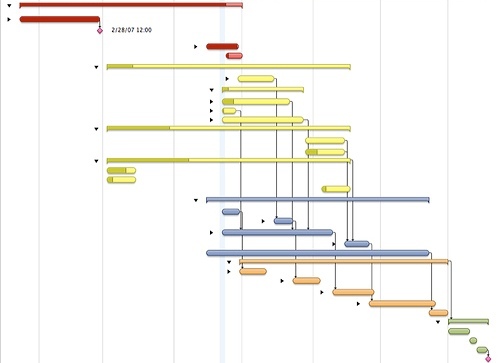 Prince Engineering, PLC, has developed a simple record keeping system for construction project management that has stood the test of time and has been shown to be crucial to an owner’s interests in a dispute resolution process. You can have the construction project filing system here. Prince Engineering always abides by this very important rule: No horse trading. “Horse trading” is the practice of making verbal side deals between the owner’s rep and the contractor to solve a construction issue without documentation. It's more common that one would think, even on highly documented and supervised projects. The practice of “horse trading,” or any other name for it, is the root cause of many disputes and shouldn’t be because first, it’s not the project manager’s money, it’s the owner’s. Lastly, “horse trading” is just plain laziness by a project manager that doesn’t want to document what he might think of as insignificant. Everything is significant when it deals with scope of work, time or money on a construction project no matter how minor. Minor items add up and a good project manager documents and records all these without delaying decision making or impacting the project. Prince Engineering, PLC has successfully written construction contracts and completed construction project management on projects ranging from $5,000 to $50 million (USD). Prince Engineering has been on all sides of the construction process as design professional, project manager, contractor, and owner. Prince Engineering has an excellent track record of project management and owner’s representation services. Call Prince Engineering at (888) 418-2695 and see if Prince is a good fit for you. Send Prince Engineering a message (This link takes you to the email contact form) or simply call for discussion and answers. We’re inclusive, not exclusive. That means project management is done in a way that’s easy, understandable and productive. You’ll enjoy what you can build with Prince Engineering, PLC.